Blank! The Musical is now playing Off-Broadway at The Green Room 42, after running for over a year at the Broadway Comedy Club, and premiering at New World Stages. Here's the coverage from Playbill. An interactive, fully improvised Broadway musical, Blank! breaks new ground by taking audience suggestions via a customized smartphone app. Audience members direct the show and help to instantaneously create the score, lyrics, and book with their suggestions. 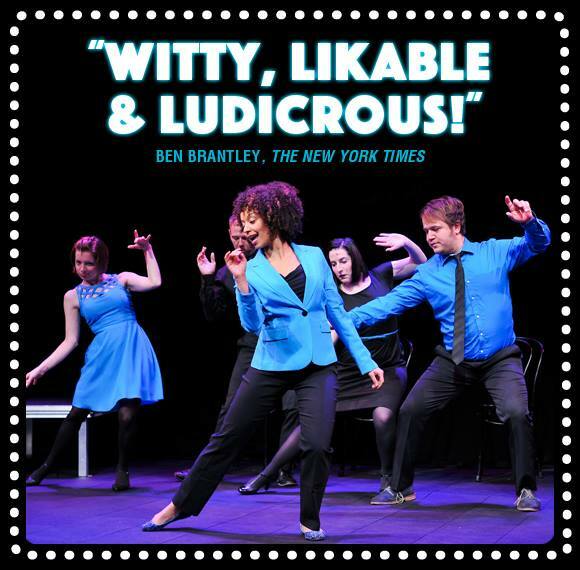 Said Ben Brantley in the New York Times: Witty and likable in refreshingly unaggressive ways, the performers of “Blank!” seem to have genetically coded knowledge of the forms, formulas and clichés that make up the bulk of contemporary musicals. Perez Hilton wrote: If you’re a fan of musicals and/or improv, then you will love the new and aptly titled "Blank! The Musical"...It’s all super fun. Featuring an ensemble of New York's best and most in-demand musical improvisors and musicians, Blank! delivers the power, emotion, and hilarity of a big-budget Broadway musical for one night only! Blank! is customizable and travel-ready for any event or corporate setting of any size. Please contact me for more information. ​Blank! The Musical was proudly co-created with Mike Descoteaux and Mike Girts.